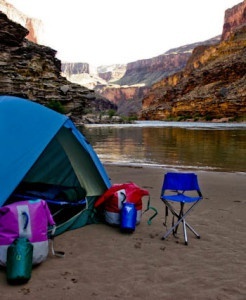 This Colorado River rafting is not a trip for those who don't like to rough it. The only hesitations I had were wondering about bathroom situation, how I would get everything into the day dry bag and snakes. It really worked out well! The only snake I saw was a rubber one. The food was absolutely fantastic! Could not believe what great cooks our Western River guides were! MP, Lucky, and Beek took care of us and were always there to help if anyone needed it. 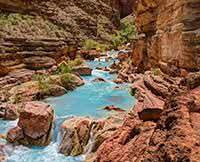 I would recommend this Grand Canyon whitewater rafting trip to young and old. Sleeping on a cot under the stars at night was an experience many people don't get to see. Our guides were really informative about the Grand Canyon.